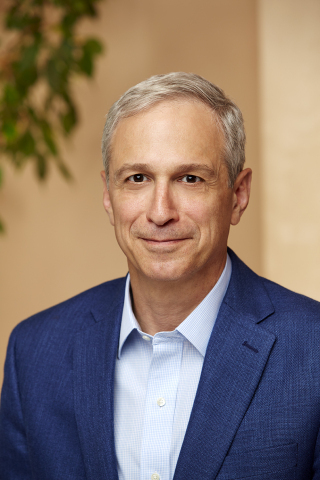 SAN DIEGO--(BUSINESS WIRE)--Expansion Therapeutics, Inc., a biotechnology company focused on advancing transformative medicines to patients with RNA-mediated diseases, announced today the appointment of Elliot Ehrich, M.D., as Chief Medical Officer. Dr. Ehrich previously served as Executive Vice President, Research and Development (R&D), and Chief Medical Officer of Alkermes Plc. Dr. Ehrich is a Venture Partner of 5am Ventures, a venture capital firm that co-led the Expansion Series A financing with Kleiner Perkins, Novartis Venture Fund and Sanofi Ventures with participation from RA Capital Management and Alexandria Venture Investments. For more than 18 years, Dr. Ehrich served as Chief Medical Officer and led the R&D division of Alkermes in senior roles of increasing responsibility. While at Alkermes, he directed the development and successful FDA registration of VIVITROL and ARISTADA and partnered development of RISPERDAL CONSTA and BYDUREON. He established a drug discovery effort at Alkermes, which has yielded a broad portfolio of proprietary drug development candidates in psychiatry, neurology and immuno-oncology. Prior to joining Alkermes in 2000, Dr. Ehrich spent seven years at Merck & Co., Inc. overseeing the clinical development and registration of novel pharmaceuticals. Dr. Ehrich is a Fellow of the American College of Rheumatology and a Clinical Assistant Professor of Medicine, Rheumatology at the Robert Wood Johnson Medical School of Rutgers University. He received a B.A. degree from Princeton University and was a predoctoral fellow in molecular genetics at the European Molecular Biology Laboratory in Heidelberg, Germany. Following an M.D. degree at Columbia University, he completed a residency in internal medicine, subspecialty training in rheumatology and a postdoctoral fellowship in immunology at Stanford University. Dr. Ehrich has had numerous publications in peer-reviewed journals. Expansion Therapeutics is a drug discovery and development company pursuing the vast potential of small molecule medicines for RNA-mediated diseases. Based on exclusive worldwide rights to groundbreaking research from the laboratory of Matthew D. Disney, Ph.D., at The Scripps Research Institute, Expansion has assembled the intellectual property, know-how, and proprietary enabling technologies and tools necessary to facilitate the creation of potent and specific small molecule binders of RNA. Through this unique platform, Expansion is building a portfolio of novel RNA-targeted drug candidates with activity across a broad number of disease indications. The company’s initial development focus is on therapies for patients with expansion repeat diseases who currently have limited and unsatisfactory treatment options. Expansion is based in San Diego, California, and Jupiter, Florida. For more information, visit www.expansionrx.com.